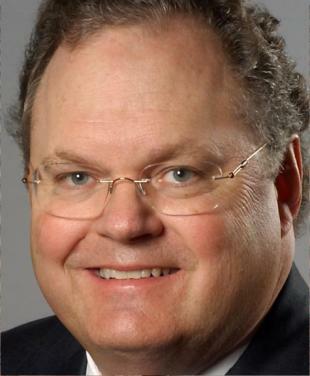 May 6, 2013 -The following is an opinion editorial from State Senator Craig Estes on Senate Joint Resolution 1 titled “Securing a Bright Future for Texas”. Texas businesses have created more than 500,000 jobs since November 2011. Our economy is growing nearly 50 percent faster than the rest of the country and our cost of living remains low. Things are going well in Texas, and people are noticing. That is why over the next 50 years, the population of our great state is expected to grow by 20 million, from around 26 million today to more than 46 million in 2060. Americans realize they can afford a nice life in Texas and are choosing our state as a place to work, live, and start a family. While things are going well, challenges lie ahead. Texas highways are too crowded, and our water needs are growing. The average commuter in Houston and Dallas-Fort Worth wasted 52 hours and 45 hours, respectively, stuck in traffic congestion in 2011. The traffic in Austin is so bad, it was recently rated fourth worst in the country by USA Today. As for water, the state has only built 10 new reservoirs in the last 23 years. As things now stand, the transportation and water infrastructure in our state would be hard pressed to handle another 20 million people. Investing in infrastructure is necessary if we are to have a prosperous future. Texas needs to ensure there are enough safe roads, clean water and good schools. It is important for us to address these challenges because when people move here, the economy grows, jobs are created, and the state prospers. Investing in roads, water, and education is critical to the future of Texas. Senate Joint Resolution 1 (SJR1) makes that investment and secures a bright future for our state. It puts before the voters a one-time expenditure from the Rainy Day Fund of $2.9 billion for roads, $2 billion for water projects and $800 million for public schools, all while leaving an estimated balance of more than $6 billion in the fund for the start of the 2015 fiscal year. If approved by voters, SJR1 carefully and conservatively provides for our immediate infrastructure needs without adding any additional debt, without breaking the constitutional spending cap, and without threatening the state’s AAA credit rating. In other words, SJR1 takes only what is necessary from the state’s savings account to pay for things we absolutely need while leaving a big enough balance to take care of emergencies. Some may argue we don’t need to do anything, but it is not fiscally conservative or realistic to ignore the challenges caused by population growth. Burying our heads in the sand is not an option. Without addressing such basic needs as transportation, water, and education, our economy may stumble. To protect our bright future, we must take action to ensure our infrastructure can accommodate future population and economic growth. SJR1 is not a silver bullet that will solve all our state’s problems, but it is an important step to take at this crucial moment. Things are going well right now in Texas, and SJR1 will help make sure it stays that way. Part of the failure and pain our communities are feeling now is the fact that some government agencies do not plan ahead especially rural counties and ISD’s everywhere. At least this State is trying hence the Rainey day fund. Now it seems you guys are at least looking and planning and I would challenge all taxing entities to start building rainy day funds through your tax structure budget to do what Texas State government has had the foresight to do here. Thanks Senator for this opportunity to respond. Not so fast………….this looks like the formula for more Public Private Partnerships, and Comprehensive Development Agreements , as Estes and King have championed in the past. Take taxpayer funds, transfer to an appointed ” board ” of political cronies and lobbyists, for them to make mega-profits, while the taxpayers bear the burdens. Public/private partnerships can be used by international corporations to get a leg up on their competition by entering into contracts with government to obtain favors such as tax breaks and store locations not available to their competition, thereby creating an elite class of “connected” businesses. Using PPPs, power companies can obtain rights of way over private land, as is currently happening in Virginia where Dominion Power plans massive power towers over private property – against the strong objections of the property owners. Private companies are now systematically buying up water treatment plants in communities across the nation, in effect, gaining control of the water supply. And they are buying control of the nation’s highway systems through PPPs with state departments of transportation. Because of a public/private partnership, one million Texans are about to lose their land for the Trans Texas Corridor, a highway that couldn’t be built without the power of eminent domain. Of course, it’s not just American companies entering into PPPs with our government. Foreign companies are being met with open arms by local, state and federal officials who see a way to use private corporations and their massive bank accounts to fund projects.